As water levels in Colorado decline, the long-term impact on the Western Slope are concerning to area water experts. The worry is that water demands down river and on the Front Range will dry up the Western Slope and change the character of this area of Colorado. “What the West Slope is adamant about is that a voluntary, compensated, temporary demand management plan be created,” Pokrandt says. “The alternative is uncompensated, forced curtailment [for water users].” The biggest concern facing voluntary, compensated, temporary demand management is a lack of funding. An example of voluntary, compensated demand management is paying ranchers to fallow hay fields for a season or more, but as previously reported in the Crested Butte News, this isn’t a great deal for ranchers because it can take years for the quality of hay to return to what it was pre-fallow. The point Pokrandt makes is that Front Range utilities can “wave around their checkbooks and buy out Western Slope producers who could not resist the money,” which as he explained previously, would cause a shift in water rights ownership on the Western Slope. For those who do resist, Pokrandt says, the “Colorado Constitution allows for municipal condemnation of agriculture,” meaning a government agency can forcibly buy property for fair market value for a public purpose, according to the law of eminent domain. “This would change the face of western Colorado from an economic, landscape, cultural, recreational and environmental perspective,” says Pokrandt. 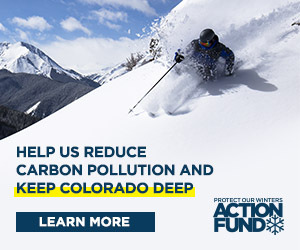 While the CWCB policy states it will “prioritize avoidance of disproportionate negative economic or environmental impacts to any single sub-basin or region within Colorado while protecting the legal rights of water rights holders,” there is concern among Western Slope water entities that this language creates a lot of wiggle room. This work will involve organizing stakeholders, water entities and the public in tackling specific problems, including: federal legislation to create a demand management pool in Lake Powell where saved water can be stored; finding money to pay producers to not use water that can be sent to Lake Powell; legal protections to make sure water is actually getting to Lake Powell, also known as “shepherding,” a way to account for the water so amounts are known and recognized; and understanding what temporary fallowing does to the economy, particularly secondary impacts from producers earning money without paying for seed purchases, equipment, etc. For these reasons and more, we can all be thankful for the water coming into the valley this week as white fluffy stuff.